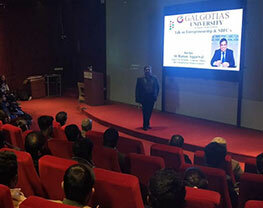 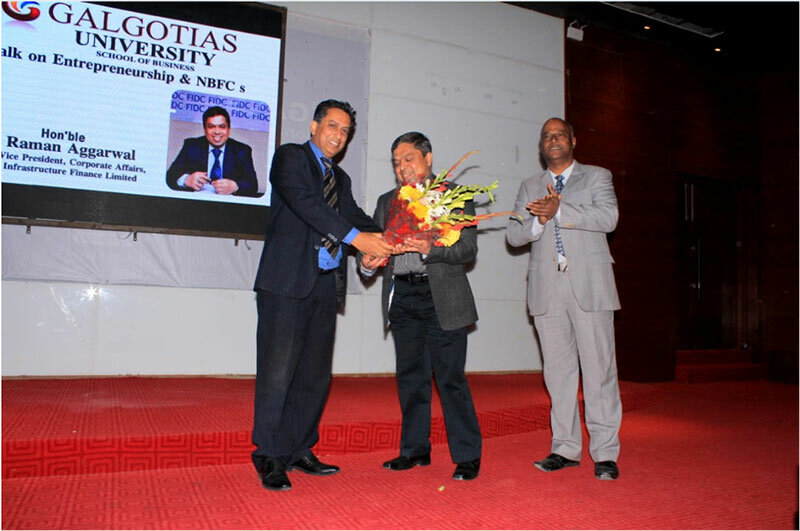 Galgotias School of Business organised a guest lecture on Entrepreneurship and NBFCs for MBA Students. 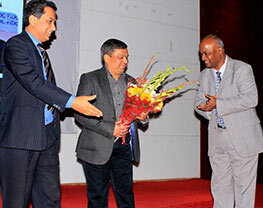 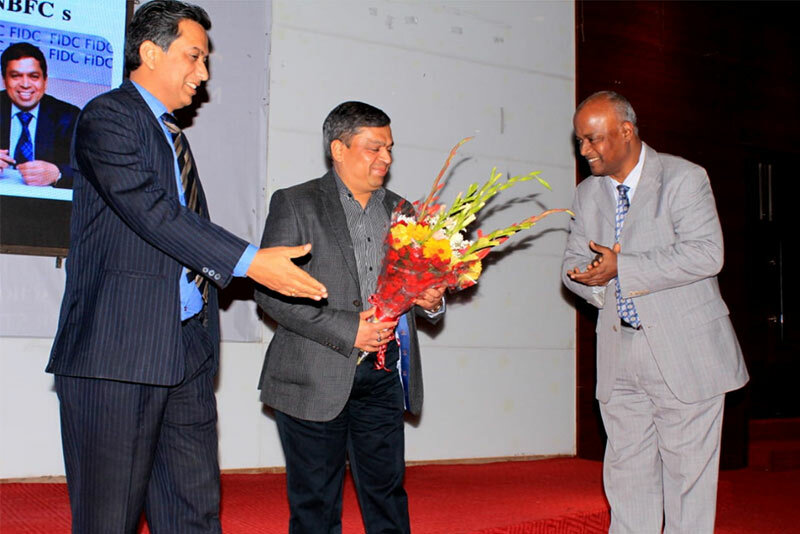 The welcome address was given by Pro Vice Chancellor, Prof (Dr) Pradeep Kumar. 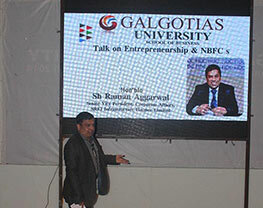 The talk on "Entrepreneurship and NBFCs" was delivered by Shri Raman Aggarwal, Chairman, Finance Industry Development Council (FIDC) and Senior VP, Corporate Affairs, SREI Infrastructure Finance Ltd. Shri Raman Aggarwal emphasized the role and growing importance of NBFCs in financing MSMEs. 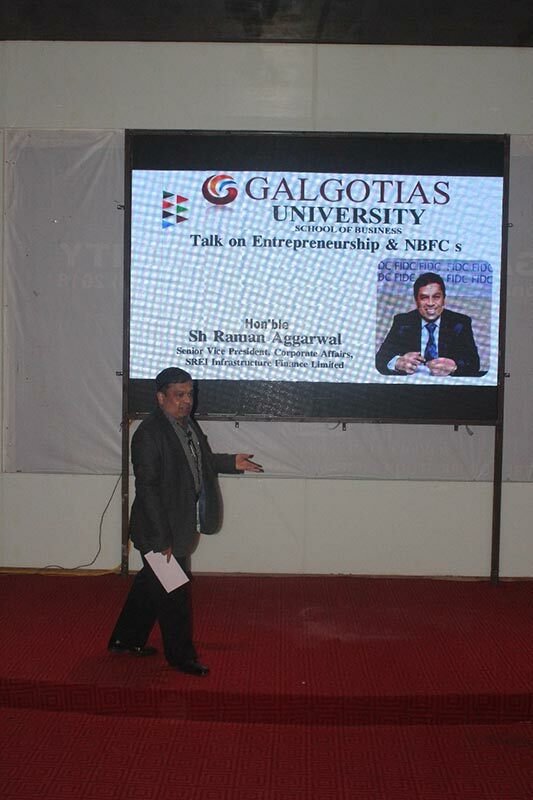 He asked the students to see themselves as job providers and not only as job seekers. 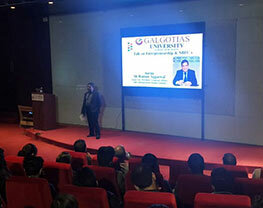 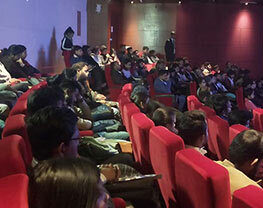 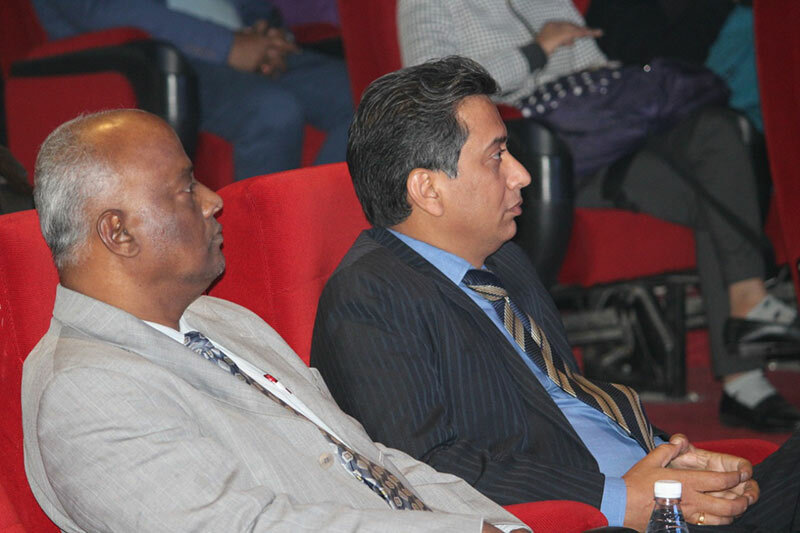 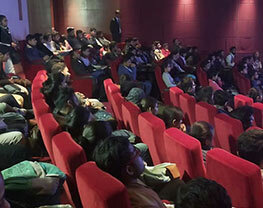 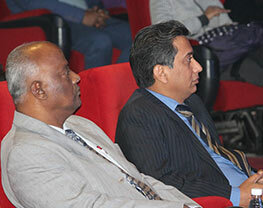 The students benefited from the rich corporate experience of Shri Raman Aggarwal. 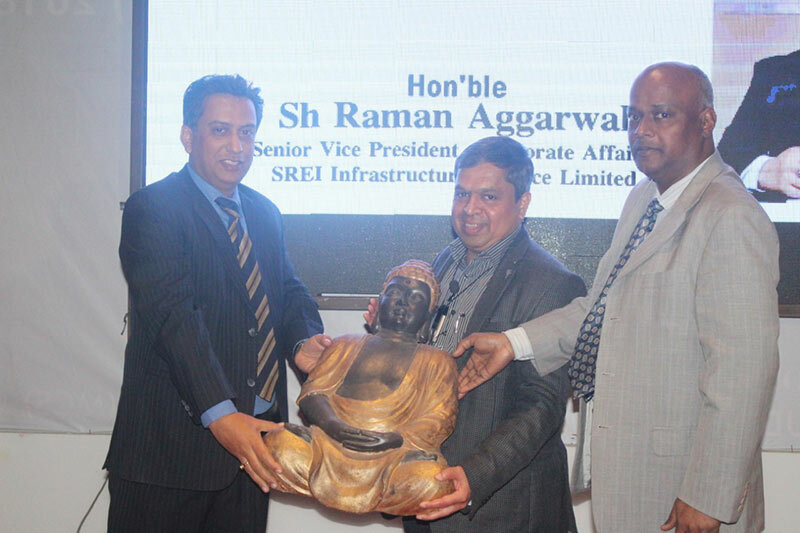 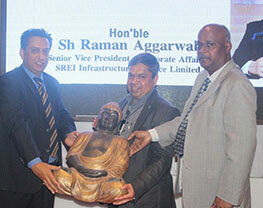 The session ended with the presentation of a Momento to Shri Raman Aggarwal. 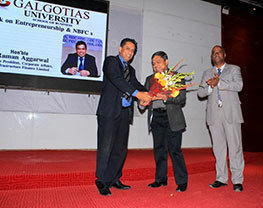 The vote of thanks was proposed by Dean, School of Business, Dr Sadananda Prusty.